Despite the music industry taking a hit due to the emergence of music streaming services and the steady decline of physical and digital record sales, music festivals have seen significant growth in recent years. Revenues from such festivals have continued to increase annually and add heavily to the bottom line of the music industry. According to the research firm IbisWorld, the U.S. concert and event promotion industry is expected to generate $28 billion in revenue this year. 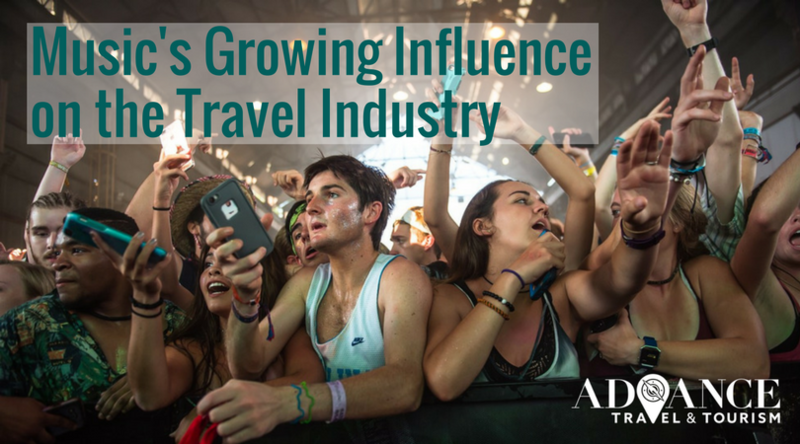 Music festivals bring in valuable revenue for their host cities each year, but the tourism industry as a whole has yet to work strategically with the music industry to create valuable products and experiences for live music lovers. Cities that aren’t currently known for their music scene can position themselves as so with the help of a successful music/arts festival. It is then up to the destination to create year-round entertainment such as weekly/monthly concerts and other artistic and cultural events. Advance Travel & Tourism will be a part of the upcoming Music Tourism Convention. Learn more about the event here.